Watford have a man who is destined for the very top of the game | The Transfer Tavern | Where football transfer rumours fly or die! What does the future hold for Abdoulaye Doucouré at Watford? After the 2016/17 season, the name Abdoulaye Doucouré may not have been on every Premier League fan’s lips, but after last season, that is a different story now. The Frenchman had a stellar season for The Hornets last year, scoring seven times in 37 appearances, finishing as his club’s top scorer, and making quite a name for himself in England. Being a physical, box-to-box midfielder, he is the kind of character that a manager and fans love. 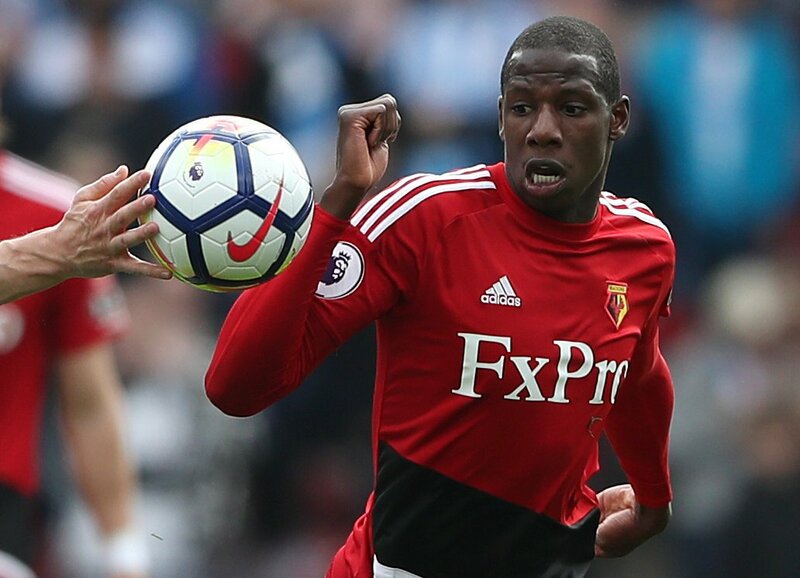 After a good season last year, Watford have done very well to keep hold of Doucouré (valued at £13.5m on Transfermarkt.co.uk) for another season. Given the fact that the 25-year-old’s teammate last year Richarlison went to Everton for a potential fee of £50m over the summer, it is an indication that Watford would have been willing to sell if the offer was there. Doucouré was voted the Watford Player of the Season, an indication of not only his performances last year, but how he is seen at the club. He had suitors over the summer, Tottenham being one club that was leading the charge for the player, but nothing seemed to come of the interest. This makes the fact that he has remained at Vicarage Road all the more remarkable. So far this season, it looks as though he made a very wise choice. Watford are unbeaten in their opening four Premier League games, racking up maximum points. Doucouré may want to remain with the club for the remainder of the season to see how far the club goes. This may stave off any interest there may be in the midfielder over January. Indeed, if Watford continue their good run of form, there’s no reason to say that they couldn’t be clinching a qualification spot for Europe next season. If the club were able to secure Europa League football, that would be all the more incentive for their dependable midfielder to stay under manager Javi Gracia. However, in truth, it is likely that Doucouré will be parting ways with Watford at the end of the season. This would be beyond all doubt if he has a season comparable to last one, but even if his standard drops this year, it is still probable that he will be moving on. He will attract a lot of interest from Europe, with the likes of PSG a possible destination. The French giants were linked with the midfielder over the summer, with no end product. It would be hard to blame a player for wanting to return to the country of his birth. But there are plenty of Premier League clubs that would be perfect destinations for the imposing player. Man City will at some point need to address the fact that Fernandinho is 33-years-old, and may not have many more good years ahead of him. Recruiting a player that is already accustomed, and has thrived, in the Premier League is a major boon, and one that free-spending City may not be able to resist. Very similarly, Tottenham may see Doucouré as a potential replacement for their veteran midfielder Mousa Dembélé. There have been rumours that the Belgian may be leaving the north London outfit come the end of the season, and manager Mauricio Pochettino will already be lining up his successor in the centre of the field. While it is almost impossible to replicate Dembélé perfectly, the Frenchman would do a very good job. What is clear is that if Doucouré decided it was time for him to move on from Vicarage Road, it would not be hard to find destinations for the player. It would just be a case of making sure the price is right.